The 1862 novel by Victor Hugo (1802–85) is an all-too-vivid portrayal of the poor and the dispossessed in early 19th-century Paris. At its centre is the tale of nobleman Jean Valjean, unfairly victimized by an unjust system. The younger character of Marius is based around Hugo’s own experiences as an impoverished student. Better known by its English title, which inspired a film of the same name, Victor Hugo’s Gothic novel was published in France in 1831 as Notre-Dame de Paris. Set in the Middle Ages, it tells the strange and moving story of a hunchback bell-ringer Quasimodo and his love for Esmeralda . The finest chronicler of 19th-century London life, Charles Dickens (1812–70) chose to set his 1859 novel in London and Paris, against the background of the French Revolution . His description of conditions in the Bastille prison makes for grim reading. Honoré de Balzac (1799– 1850) chronicled Paris life masterfully in his 80-volume La comédie humaine series, and this 1853 novel is certainly among the finest. 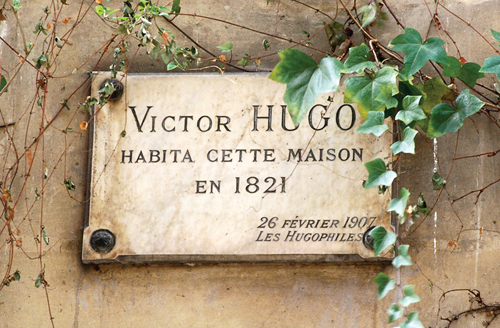 Balzac’s house at 47 rue Raynouard in the 16th arrondissement, where he lived from 1840–47, is open to the public . Gustave Flaubert (1821–80) studied law in Paris but illness disrupted his chosen career and he devoted himself to literature. This work (L’education sentimentale in French), first published in 1870 in two volumes, stands alongside his greatest novel, Madame Bovary (1857), and marks the move from Romanticism to Realism in French literature. Guy de Maupassant (1850–93) published this, one of his best novels, in 1885, criticizing the get-rich-quick Parisian business world of the belle époque (Beautiful Age). Maupassant is known as one of the world’s greatest short-story writers, and he is buried in the cemetery at Montparnasse. The master work of Marcel Proust (1871–1922) was written in 13 volumes, the first novel appearing in 1913. Proust lived on boulevard Haussmann, and his epic tale is the fictionalized story of his own life, and of Paris during the belle époque. Proust is buried in Père Lachaise cemetery in eastern Paris. Perhaps the greatest Parisian chronicler of them all, Emile Zola (1840–1902) was born, lived and died in the city, although he spent part of his youth in Aix-en-Provence in southern France. Nana was published in 1880 and tells a shocking tale of sexual decadence, through the eyes of the central character, a dancer and prostitute. Published in 1887, Zola’s L’Assommoir (The Drunkard) shows a side of Paris that many at the time would have preferred to ignore – the alcoholism of the working classes. It is one of the author’s series of 20 linked books known as the Rougon-Macquart sequence, which depict life in every quarter of society, through the eyes of two branches of the same family. Here Zola focuses on the secret passions that lurk behind a single Paris shopfront, opening up to reveal a tale of obsessive lust that ultimately leads to a brutal murder. It was published in 1867 and, only his second novel, shows the author’s astonishing maturity and unflinching examination of all aspects of 19th-century life. The US author (1899–1961) wrote A Moveable Feast as an affectionate portrait of his time in Paris from 1921–1926. Like Hemingway, US writer Fitzgerald (1896–1940) lived in Montparnasse and frequented the bar La Coupole. The English novelist (1903–50) tells of his shocking experiences living in poverty in Down and Out in Paris and London (1933). Born in Ireland in 1906, the playwright lived in Paris from 1928 until his death in 1989. US novelist Nin (1903–77) met her lover, fellow American Henry Miller, in Paris. Her Diaries tell of her time here. Algerian-born Camus (1913– 60) moved to Paris in 1935 and lived here until his death. Miller (1891–1980) showed the seedier side of Paris in his novel Tropic of Cancer (1934). Controversial fascist sympathiser and authoress, Mitford (1910-2003) spent her dotage in Paris. Joyce (1882–1941) lived in Paris from 1920 to 1940. Ulysses was published here in 1922 by Shakespeare and Co.
Czech-born Kundera (b.1929) moved to Paris in 1978 where he wrote The Unbearable Lightness of Being.